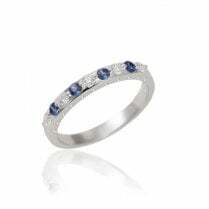 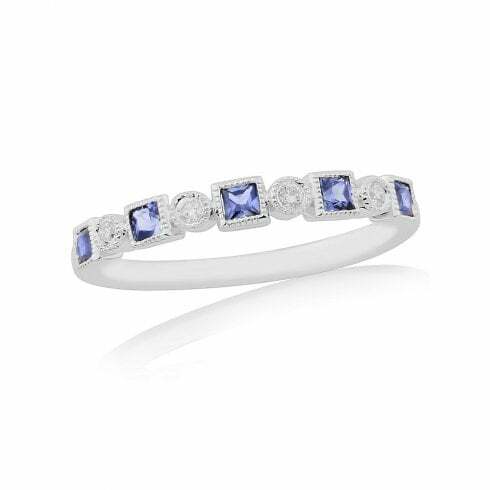 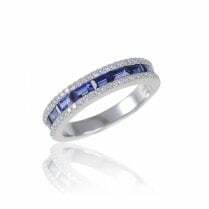 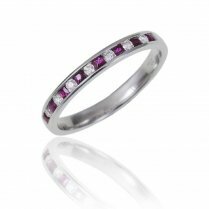 Brilliant cut diamonds alternating with princess cut blue sapphires in this nine stone eternity style ring give this piece elegance whilst the millgrain edge gives it a wonderful vintage feel. 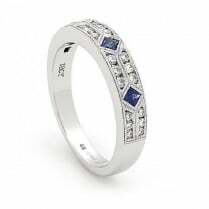 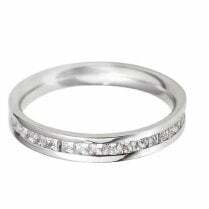 If you would like this ring in a particular size please contact us by phone. 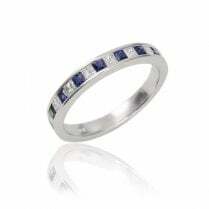 email or visit us in store.